Considering the fact that the Dodgers seemed to have forgotten their bats in Los Angeles, I figured it would be fun to talk about the man who pretty much coined the phrase, “hit ’em where they ‘aint.” Mr. “Wee” Willie Keeler was the Dodgers outfielder and on this day, in 1901, he had five out of the Dodgers 26 hits. 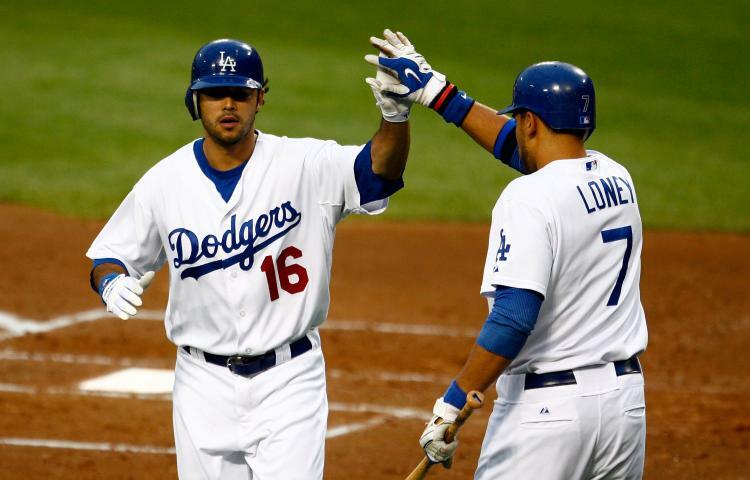 It has taken the current Dodgers team five games to knock down 26 hits. 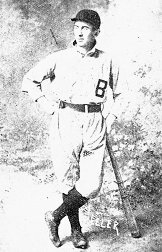 According to the Dodgers official website, Keelers five hits set a franchise record that would stand until 1915 when George Cutshaw had six hits August 9 at Chicago. Cutshaws record has since been tied five times, most recently by Willie Davis on May 24, 1973. Keeler batted leadoff for nine seasons under Manager Ned Hanlon with Baltimore and Brooklyn. During that stretch, in which Baltimore and Brooklyn combined for five league pennants and three second-place finishes, Keeler batted .378 and averaged 215 hits and 134 runs. During his 19-year playing career, Keeler was known as one of the games best bat handlers. He was an excellent bunter and was a master of the “Baltimore chop” off the hardened dirt in front of home plate. He would choke up on the bat and, with a quick snap of his wrists, chop the ball over the heads of the infielders to get on base. He was quick down the line and was an expert at executing the hit-and-run with teammate John McGraw. Keeler was inducted into the Hall of Fame in 1939. After a much needed day off following the maximum 20 straight games, the Dodgers return to the field for interleague play and are facing Chris Sale and the Chicago White Sox. Interleague is always fun (despite the Dodgers track record in previous years) to watch because you get to see matchups that you obviously, typically wouldn’t get to see. Tonight is no exception. We get to see two of the best left handed pitchers in the game right now. Our Ace and Cy Young Winner Clayton Kershaw and Chris Sale, who is currently on a five game win streak to run his record to 8-2 on the year, and who is also posting a 2.05 ERA so far in 2012. He is also becoming quite the strikeout kid as well. In the last 36 and 1/3 innings, he has punched out 43 batters, including a career high 15 strikeout performance on May 28th. Juan Uribe is again getting the start at third despite going 1 for 7 since coming off the DL. Elian Herrera, however, is still getting a start as well, and he gets to test the waters over in Left Field for the first time this year and allow Juan Rivera and Bobby Abreu to come off the bench to pinch hit. Tony Gwynn will remain in Center and ‘Dre will keep dominating Right to round off the outfield. We’ll see what happens tonight as the rested Dodgers get a chance to turn their recent bad luck at home around (1-6 in their last seven games at Dodger Stadium) and get back to their winning ways in Los Angeles. 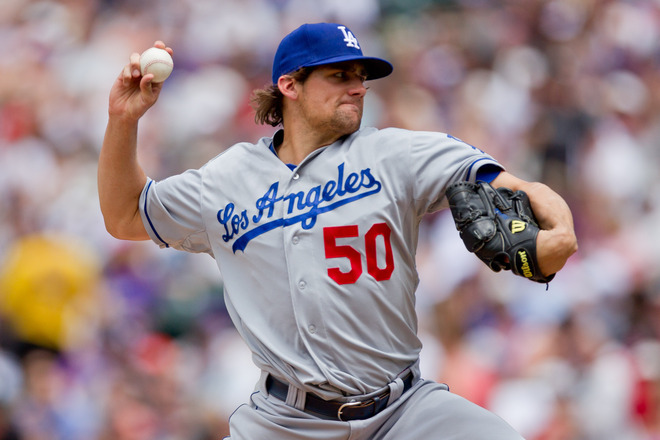 The Dodgers will also be looking to get a win to celebrate the Birthday of Josh Lindblom, who, along with his wife Aurielle, just launched the “Josh Lindblom Foundation” two days ago before the Angels game. Happy Birthday Josh! 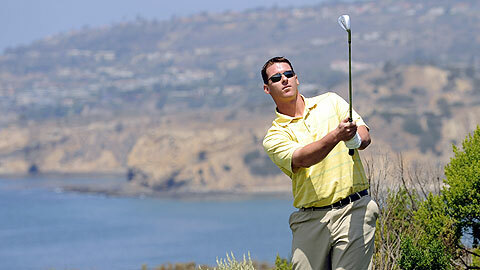 Bills has spent the last seven years on the Dodgers participating in the Dodgers Dream Foundation Charity Event. He has participated every year and this year, during Spring Training was approached to be the first player to officially host it, and he was very excited to say yes. Stan Kasten also participated this year and it was his first fundraiser with the Dream Foundation. “This Dream Foundation is among the finest in all of sports and to be able to observe it in person and hopefully make contributions to it is a really thrilling prospect,” Kasten said. According to the Dodgers official website, the event raised $100,000 last year, and Dream Foundation fundraising manager David Brennan estimated that they were on pace to raise about the same this year. The first game of the Freeway Series begins tonight!! 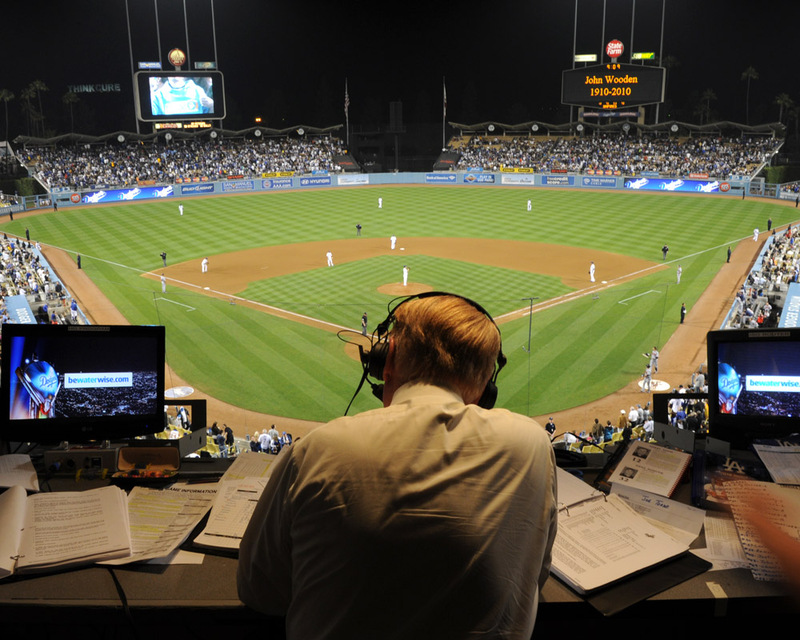 I think first things first…we get Vin Scully back!! Ten days is way too long. Call me spoiled, I don’t even care. 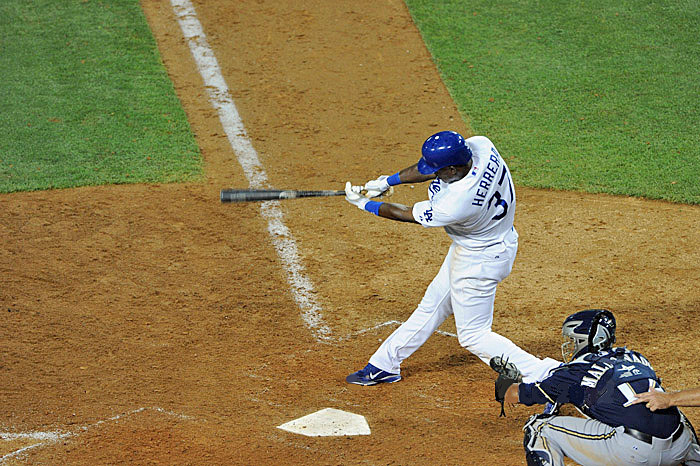 Juan Uribe was activated from the DL. Alex Castellanos was sent back down to AAA Albuquerque. 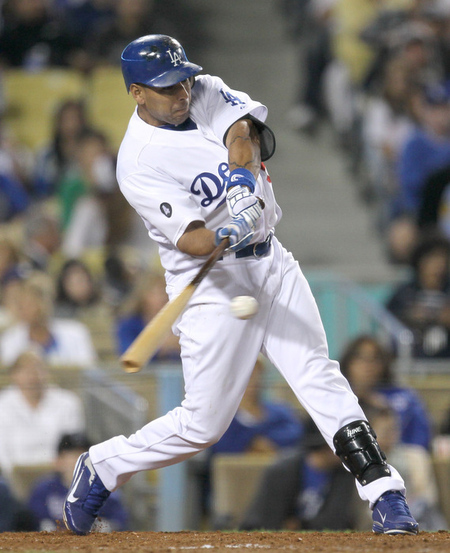 Don Mattingly said that he would break in Uribe slowly and said he may start at 3B the next two games. Is this guy a stud or what? I have been so impressed with the way he has handled himself since being called up just barely a week ago. I posted on Twitter after Eovaldi let up that first inning run and said that after every run that he had allowed in the majors, he came back and struck out the batter both times. Today, he struck out the next two batters to end the inning. His composure is unbelievable. He may only be 22, but he’s pitching like a veteran right now. I feel terrible that he has two losses to his name. He definitely deserves more than that. Now this obviously isn’t something that I just noticed. I respect Donnie as a manager, a player and a person; always will, always have. He makes smart decisions on and off the field. He knows exactly how to handle the players and all that entails when it comes to being a professional baseball player. But what I’m talking about is mostly on the field. During the Brewers series, there was one subject that was a huge issue for the Dodgers…double plays. Every one was talking about it. So what did Mattingly do? He turned that weakness into a strength. The past two days we have gotten a hit by Donnie calling a hit and run. Two consecutive times the Rockies second baseman broke to second when he saw our runner trying to advance, and then had to change direction because the ball was hit where he was suppose to be. By the time he makes the adjustment, its too late and we have runners on second and third. It’s fun to watch, for me at least, baseball being played like that. Call it small ball, or call it whatever, but I think its very effective, and puts us in position to get runners in. The tricky part seems to be getting that next hit that actually scores them. We’ll get there though. I know I keep saying this…but don’t hit that panic button quite yet. The Dodgers leave Colorado tonight after dropping the three game series. They continue on their long road trip to Philadelphia where they will play a four game series against the Phillies. We have a good chance to turn things around, even though being on the road during a time like this, is never easy. Kershaw takes the mound tomorrow in an attempt to right the ship one more time. Reports say that the Phillies have re-activated Vance Worley and will put him on the bump tomorrow to face Kid K.
Game scheduled to start at 4:05 PT. Be sure to follow Dodgers Insider on Facebook and Twitter for live, in-game updates during the game. 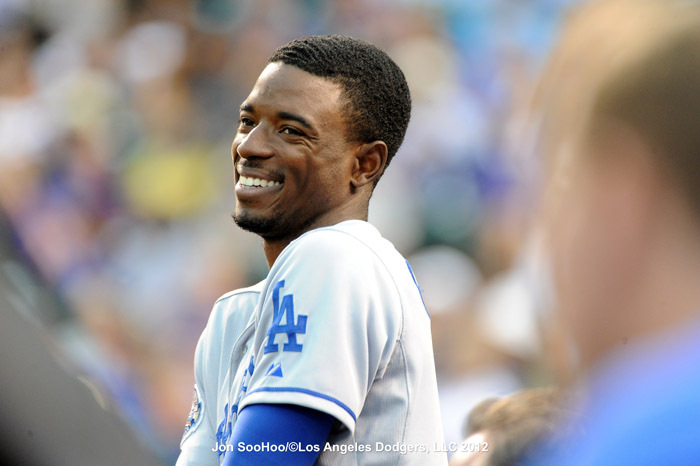 Don Mattingly is giving Dee Gordon the nod at for the first time since May 18th, fourteen games after he had lost the spot. It will be interesting to see how he does back at the leadoff spot, since his obvious improvement offensively in the eighth spot upon his return from being benched. Tony Gwynn will be taking Dee’s spot in the eight hole and will be playing Center Field. I like this move. I think overall its going to be very controversial among Dodgers fans, but I’ll tell you why I like it. I keep talking about how Mattingly is “lengthening the lineup,” and I think that’s exactly what he’s doing here. I don’t think Dee’s move in the lineup was an account of his improvement, I think it was more of a move to get Gwynn’s bat near the bottom of the lineup to score the runners that have been getting one. In the past couple games, most of the production we’ve had has come from the middle of the lineup, and as we all know, Gwynn loves to get RBI’s. If guys like Ethier, Hairston, Loney and Ellis can get on base (which they have been doing) we don’t have to go through a pitcher’s spot to get to Gwynn. I think it could be a very good run-producing move for the Dodgers. We’ll see what happens!